At South Bay Plastic Surgeons in Torrance, CA, plastic surgery patients visit us from Long Beach, Manhattan Beach and across the South Bay along with much of metropolitan Los Angeles, spanning from West L.A. to West Hollywood. We provide reconstructive and cosmetic surgery services ranging from common treatments to complex and highly specialized surgeries. Our experienced and qualified team of board-certified plastic surgeons and professional staff devotes the same personalized care and individual attention to every patient and procedure at each location. To see for yourself what sets us apart from other practices, request a consultation online at South Bay Plastic Surgeons. Or you can call our office at (310) 784-0644 and one of our helpful staff members will schedule your appointment. 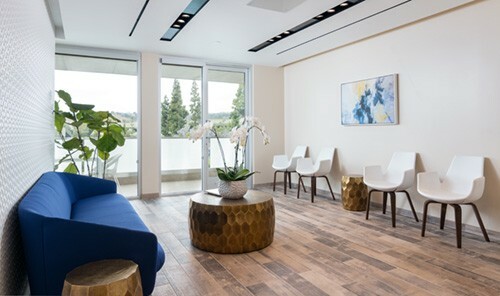 The Spa at South Bay Plastic Surgeons is a medical spa owned and operated by our plastic surgery practice, ensuring through an intimate affiliation that spa patients get optimal, supervised treatment. Additionally, this affiliation provides our plastic surgery patients with easy access to spa treatments that can be coordinated with surgical care. The Spa at South Bay Plastic Surgeons is staffed by a group of fully trained and licensed aestheticians and registered nurses. With our dual locations, we are conveniently located for patients from the Long Beach or Manhattan Beach areas who would rather avoid freeway traffic. Our mission is to provide our patients with highest quality personalized care that exceeds expectations. As a diverse group of specialists, we are able to offer our patients a wide spectrum of plastic surgery and aesthetic procedures including the latest technologies and innovations. The broad knowledge and experience of our physicians and staff allows us to customize a treatment plan that will achieve your goals. Our physicians and nurses take pride in giving patients natural and long lasting results that are individualized to each patient. We believe it is critical to take the time to thoroughly discuss your options to help you make an informed decision. Incorporating the latest advances in medical technology with a wealth of surgical experience secures safer, faster, and better results for our patients.